Updated to here! ------------------------------ MaeTM, your wish list has been updated. Happy early birthday! tjenni, your gift has been added. Thank you for gifting! Aie, your gift has been added. Thank you for gifting! OrcaFreak, your wish list has been updated. Happy early birthday! wheeloftime13, your gift has been added. Thank you for gifting! Astreya, your 3 gifts have been added. Thank you for gifting! pikammd, your wish list has been updated. Happy early birthday! wheeloftime13, your wish list has been added. Happy early birthday! Updated to here! ------------------------------ Messages for users with April birthdays have been sent. ------------------------------ Varislapsi, your gifts have been added. Thank you for gifting! Tabs, your 9 gifts have been added. Aie, your wish list has been updated. Happy early birthday! Shibunari, your 2 gifts have been added. Thank you for gifting! jewel21, your wish list has been updated. Happy early birthday! Aie, your 2 gifts have been added. Thank you for gifting! Updated to here! ------------------------------ WWECornSerpent, your 5 gifts have been added. Thank you for gifting! Dirtytabs, your 8 gifts have been added. Astreya, your 2 gifts have been added. Thank you for gifting! tjenni, your wish list has been added. Happy early birthday! tjenni, your gift has been added. Thank you for gifting! taginix, your wish list has been added. Happy early birthday! Elestren, your 4 gifts have been added. Thank you for gifting! Varislapsi, your 5 gifts have been added. Thank you for gifting! Shibunari, your gift has been added. Thank you for gifting! Shibunari, your wish list has been added. Happy early birthday! Ruby Eyes, your gift has been added. Thank you for gifting! Updated to here! ------------------------------ The Dragoness, your wish list has been updated. Happy early birthday! TerraAnne, your wish list has been updated. Happy early birthday! Isuzu, your wish list has been updated. Happy early birthday! clara954, your wish list has been updated. Happy early birthday! WWECornSerpent, your 2 gifts have been added. Thank you for gifting! Dragon-Firy, your wish list has been added. Happy early birthday! Alisyn, your wish list has been updated. Happy early birthday! Varislapsi, your 4 gifts have been added. Thank you for gifting! Updated to here! ------------------------------ Messages for users with March birthdays have been sent. ------------------------------ Dirtytabs, your gift has been added. Thank you for gifting! Varislapsi, your gift has been added. Thank you for gifting! Elestren, your gift has been added. Thank you for gifting! Updated to here! ------------------------------ Messages for users with February birthdays have been sent. ------------------------------ Varislapsi, your 2 gifts have been added. Thank you for gifting! jewel21, your wish list has been added. Happy early birthday! Terrafreaky, your gift has been added. Thank you for gifting! Updated to here! ------------------------------ Varislapsi, your 6 gifts have been added. Thank you for gifting! smartster4, your wish list has been added. Happy early birthday! Princess Kiara, your wish list has been added. Happy early birthday! ComatosedRoses, your gift has been added. Thank you for gifting! Astreya, your 6 gifts have been added. Thank you for gifting! Dirtytabs, your 3 gifts have been added. Way to go botching the red gift report. Terrafreaky, your 2 gifts have been added. Thank you for gifting! bloodyneptune, your wish list has been added. Happy belated birthday! Updated to here! ------------------------------ Katharos Seraph, your wish list has been updated. Happy early birthday! Ruby Eyes, your 2 gifts have been added. Thank you for gifting! Varislapsi, your gift has been added. Thank you for gifting! Updated to here! ------------------------------ Messages for users with January birthdays have been sent. ------------------------------ WWECornSerpent, your 3 gifts have been added. Thank you for gifting! Nakeisha, your 3 gifts have been added. Thank you for gifting! Wei55, your wish list has been updated. Happy belated birthday! Dirtytabs, your 3 gifts have been added. Varislapsi, your 8 gifts have been added. Thank you for gifting! Astreya, your gift has been added. Thank you for gifting! Dalek Raptor, your wish list has been updated. Happy early birthday! Lurhstaap, your gift has been added. Thank you for gifting! Updated to here! ------------------------------ Astreya, your 19 gifts have been added. Thank you for gifting! Ruby Eyes, your 4 gifts have been added. Thank you for gifting! Elestren, your 8 gifts have been added. Thank you for gifting! Terrafreaky, your 7 gifts have been added. Thank you for gifting! Nandeenah, your 2 gifts have been added. Thank you for gifting! Varislapsi, your 6 gifts have been added. Thank you for gifting! TerraAnne, your wish list has been updated. Happy early birthday! oilbird, your wish list has been added. Happy early birthday! Firstborn Dragon, your wish list has been added. Happy early birthday! Dirtytabs, your 15 gifts have been added. hedy, your 5 gifts have been added. Thank you for gifting! Lurhstaap, your 7 gifts have been added. Thank you for gifting! Soulsborne, your 2 gifts have been added. Thank you for gifting! nxtashaxt, your 2 gifts have been added. Thank you for gifting! Din85, your 2 gifts have been added. Thank you for gifting! Din85, your wish list has been added. Happy early birthday! Nagapie, your gift has been added. Thank you for gifting! Updated to here! ------------------------------ Dirtytabs, your wish list has been updated. Ruby Eyes, your wish list has been updated. Happy early birthday! nxtashaxt, your wish list has been updated. Happy early birthday! Kastriia, your wish list has been updated. Happy early birthday! Terrafreaky, your gift has been added. Thank you for gifting! 6ThunderGod9, your wish list has been updated. Happy early birthday! Astreya, your 2 gifts have been added. Thank you for gifting! Wei55, your wish list has been added. Happy early birthday! Syryn, your gift has been added. Thank you for gifting! It makes your row easier to find on the spreadsheet. There have been date changes before, though. Some users fixed typos from earlier, and one put their DC join date in the date field. Updated to here! ------------------------------ Messages for users with December birthdays have been sent. ------------------------------ Dirtytabs, your 17 gifts has been added. Elestren, your 10 gifts have been added. Thank you for gifting! WWECornSerpent, your 5 gifts have been added. Thank you for gifting! HeatherMarie, your gift has been added. Thank you for gifting! Varislapsi, your 14 gifts have been added. Thank you for gifting! Terrafreaky, your 11 gifts have been added. Thank you for gifting! Imzadi, your gift has been added. Thank you for gifting! Astreya, your 11 gifts have been added. Thank you for gifting! greeia, your gift has been added. Thank you for gifting! nuggetmaster, your gift has been added. Thank you for gifting! Nagapie, your 2 gifts have been added. Thank you for gifting! Astreya, your wish list has been updated. Happy early birthday! hedy, your gift has been added. Thank you for gifting! Nandeenah, your 3 gifts have been added. Thank you for gifting! jsps3417, your wish list has been added. Happy early birthday! Soulsborne, your gift has been added. Thank you for gifting! Updated to here! ------------------------------ jas355, your wish list has been updated. Happy early birthday! Echithan11, your wish list has been updated. Happy early birthday! hedy, your wish list has been updated. Happy early birthday! Nandeenah, your wish list has been added. Happy early birthday! Orchi'dea, your wish list has been updated. Happy belated birthday! MiserablePileOfSecrets, your wish list has been updated. Happy belated birthday! Elestren, your 4 gifts have been added. Thank you for gifting! HopeUnbroken, your wish list has been updated. Happy early birthday! HeatherMarie, your 4 gifts have been added. Thank you for gifting! DuskOfTheStars, your wish list has been updated. Happy early birthday! Oh dear, it's November already. Updated to here! ------------------------------ Messages for users with November birthdays have been sent. ------------------------------ Artius, your wish list has been updated. Happy belated birthday! Dirtytabs, your 10 gifts have been added. WWECornSerpent, your 4 gifts have been added. Thank you for gifting! Elestren, your wish list has been added. Happy early birthday! Varislapsi, your 3 gifts have been added. Thank you for gifting! Updated to here! ------------------------------ AngelsSin, your wish list has been updated. Happy early birthday! Varislapsi, your 2 gifts have been added. Thank you for gifting! evilSpectra, your wish list has been updated. Happy early birthday! Updated to here! ------------------------------ Messages for users with October birthdays have been sent. ------------------------------ Aie, your gift has been added. Thank you for gifting! Varislapsi, your 4 gifts have been added. Thank you for gifting! Imzadi83, your gifts have been added. Thank you for gifting! Terces, your gift has been added. Thank you for gifting! Astreya, your 3 gifts have been added. Thank you for gifting! Dirtytabs, your 7 gifts have been added. WWECornSerpent, your gift has been added. Thank you for gifting! Updated to here! ------------------------------ Syryn, your 4 gifts have been added. Thank you for gifting! WWECornSerpent, your gift has been added. Thank you for gifting! Dirtytabs, your 4 gifts have been added. sylviamaris, your gift has been added. Thank you for gifting! Astreya, your wish list has been added. Happy early birthday! Astreya, your 4 gifts have been added. Thank you for gifting! Terces, your 6 gifts have been added. Thank you for gifting! Varislapsi, your 4 gifts have been added. Thank you for gifting! Nyxity, your wish list has been added. Happy early birthday! Nagapie, your gift has been added. Thank you for gifting! FAstudent12, your 4 gifts have been added. Thank you for gifting! Sazondra, your wish list has been added. Happy early birthday! Natevaelle, your 2 gifts have been added. Thank you for gifting! ComatosedRoses, your wish list has been added. Happy early birthday! Updated to here! ------------------------------ Terces, your wish list has been updated. Happy early birthday! Syryn, your wish list has been updated. Happy early birthday! Terces, your gifts have been added. Thank you for gifting! Dirtytabs, your gifts have been added. sylviamaris, your gifts have been added. Thank you for gifting! WWECornSerpent, your gifts have been added. Thank you for gifting! Updated to here! ------------------------------ Messages for users with September birthdays have been sent. ------------------------------ HeatherMarie, your 6 gifts have been added. Thank you for gifting! Dirtytabs, your 8 gifts have been added. Thank you for gifting! sylviamaris, your 9 gifts have been added. Thank you for gifting! Varislapsi, your 7 gifts have been added. Thank you for gifting! Nagapie, your gift has been added. Thank you for gifting! Nagapie, your wish list has been updated. Happy early birthday! Syryn, your gift has been added. Thank you for gifting! JavaTigress, your wish list has been updated. Happy early birthday! WWECornSerpent, your 4 gifts have been added. Thank you for gifting! sweetthing, your wish list has been added. Happy early birthday! FAstudent12, your wish list has been updated. Happy early birthday! CrazyChess, your wish list has been updated. Happy early birthday! Pilauli, your gift has been added. Thank you for gifting! Anra7777, your wish list has been updated. Happy early birthday! Montre, your gift has been added. Thank you for gifting! Updated to here! ------------------------------ Dirtytabs, your 10 gifts have been added. Tinibree, your wish list has been updated. Happy belated birthday! Soulsborne, your wish list has been added. Happy early birthday! Nagapie, your wish list has been added. Happy early birthday! Kaiserf11, your wish list has been added. Happy birthday! WWECornSerpent, your gifts have been added. Thank you for gifting! JavaTigress, your wish list has been added. Happy early birthday! Varislapsi, your 4 gifts have been added. Thank you for gifting! Sylviamaris, your 6 gifts have been added. Thank you for gifting! Sunstar23, your gift has been added. Thank you for gifting! Natevaelle, your gift has been added. Thank you for gifting! Syryn, your gift has been added. Thank you for gifting! Terces, your gift has been added. Thank you for gifting! MysticMusician, your wish list has been added. Happy very early birthday! Updated to here! ------------------------------ Dirtytabs, your 2 gifts have been added. WWECornSerpent, your wish list has been updated. Happy early birthday! nuggetmaster, your gift has been added. Thank you for gifting! Sapphire Ryu, your wish list has been updated. Happy early birthday! Updated to here! ------------------------------ Messages for users with August birthdays have been sent. ------------------------------ Dirtytabs, your gift has been added. Varislapsi, your wish list has been updated. Happy early birthday! Terces, your gift has been added. Thank you for gifting! Varislapsi, your 2 gifts have been added. Thank you for gifting! Chronomaly, your wish list has been added. Happy early birthday! Updated to here! 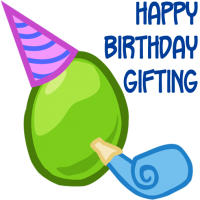 ------------------------------ Terces, your 26 gifts have been added. Thank you for gifting! HeatherMarie, your 6 gifts have been added. Thank you for gifting! greeia, your 6 gifts have been added. Thank you for gifting! Jaguarstar, your wish list has been added. Happy belated birthday! sylviamaris, your 9 gifts have been added. Thank you for gifting! Dirtytabs, your 6 gifts have been added. Thank you for gifting! WWECornSerpent, your 12 gifts have been added. Thank you for gifting! Natevaelle, your 4 gifts have been added. Thank you for gifting! Terrafreaky, your 3 gifts have been added. Thank you for gifting! dragonchic, your 2 gifts have been added. Thank you for gifting! Axl-fox, your wish list has been added. Happy early birthday! FAstudent12, your gift has been added. Thank you for gifting! Varislapsi, your wish list has been added. Happy early birthday! Updated to here! ------------------------------ HeatherMarie, your wish list has been updated. Happy belated birthday! Terces, your 9 gifts have been added. Thank you for gifting! Coheart, your gift has been added. Thank you for gifting! lolahighwind, your wish list has been updated. Happy early birthday! 6ThunderGod9, your wish list has been added. Happy early birthday! banban007, your wish list has been updated. Happy early birthday! WWECornSerpent, your gift has been added. Thank you for gifting! MalGV, your wish list has been updated. Happy early birthday! Coyote, your wish list has been updated. Happy early birthday!